The society received a go-ahead from the Rawalpindi Development Authority yesterday. This removes certain reservations among people who were previously reluctant to invest in it. If you are one of them or someone who just discovered about the potentially rewarding real estate project they call Blue World City and believe that you should invest in it, here are the details. It is located on Chakri Road and can be accessed easily both from Thalian Interchange and Chakri Interchange, but from Thalian Interchange, it falls closer to Islamabad. It is expected that Thalian Interchange will serve as the main access point from Islamabad to many societies located on Chakri Road. 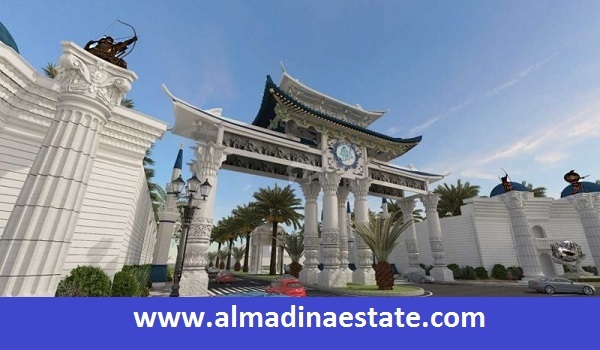 The society enjoys close proximity to major housing societies of the area including Capital Smart City, Khanial Homes, Royal Farmhouses, Green Oaks Agro Farm Houses, Magma City, Al-Mairaj Garden, and Star Agro Farms. The society is being developed in cooperation with Chinese investors and experts, many of whom are also seen at the site ensuring that the development work is carried out to meet the set standards. According to the map shared by the developer of Blue World City, the society lies closer to the Rawalpindi Ring Road’s planned interchange on Chakri Road. In addition to that, coming from the Thalian Interchange, Blue World City is more accessible. With the RRR adding worth to this neighbor in the future by making it more accessible from all parts of Rawalpindi and Zone IV and Zone V of Islamabad, Chakri Road and all real estate developments located on it have a great future ahead in terms of property demand and expected price appreciation. As per a letter issued by the RDA on August 7, 2018, the NOC for the approval of Blue World City is granted. The letter deems that the issuance of the NOC is in the best public interest. If you do not plan to pay attention to what the agents and dealers claim about the society’s size and scope and wish to stick to the details the RDA included in this letter, we have it here for you. According to this letter, Blue World City has an area measuring 1,534.5 kanals, out of which 1,134 kanals are located in Mouza Sehar, while 400 kanals of land fall in Mouza Habtal. Throwing light on its location, the letter says that the project site is 10 kilometres away from Dhamyal Camp and 8-kilometres from Chakri Interchange. While the local settlement of Sehal village is 1 kilometre away from the project site. The demand for Blue World City has existed ever since its prelaunch held earlier in the year. the society made its new entry bank in December 2017 and that was also when it landed straight on the first rank among the most searched pages for plots for sale on Chakri Road. Ever since then, the society has retained its position. With the NOC in hand, the market demand is only meant to increase further for Blue World City. In addition to that, traders are also allowed to keep the files open, which means no added charges each time a file changes hands. So for people looking to invest an amount less than PKR 100,000, Blue World City is the best soption in the twin cities, said Kiyani.